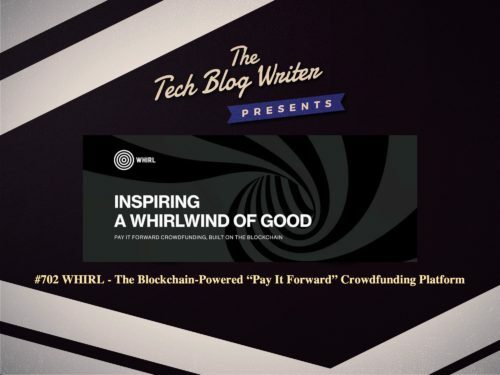 Whirl is a completely new crowdfunding platform built on the principle of ‘Pay It Forward’. You can use Whirl to get funding for just about anything, as long as it’s legal. Your dream could be a startup company, a charitable project, a gift,a holiday or even a new car. All you back someone else’s campaign before you seek backing for your own. Whirl is ideal for people who don’t have the contacts, skills, or funds to campaign in other ways. By joining the Whirl community, you can back people with similar dreams, and get their backing in return. Fundraisers raise money without shipping rewards or asking friends and family for charity. Backers earn karma points which impact their own position in WHIRL’s launch queue. Their mission is to resolve the major problem of today’s crowdfunding – the declining success rates. In order to do so, they created a community which helps each other, eliminating needs in banks and loans, That’s why they limit the number of active concurrent campaigns and ensure everyone gets equal attention and opportunity. Whirl promotes an active, ever-growing community of users offering each other rotating mutual support. The great strength of Whirl’s is that it doesn’t rely on a constant flow of new users. Instead, users who have already reached their goal go back to fund other users’ projects, moving up the site’s structure in terms of priority. This means the structure never gets clogged up with low-activity users. That said, WHIRL is also a socially-driven platform that provides unique benefits to campaigns run by confirmed charitable organizations. I invited the team from Whirl onto my daily tech podcast to learn more about how they ensure safe blockchain transactions and crypto/fiat payments making the platform accessible to contributors across the globe.